Establishment abortion-rights organizations oppose nearly all abortion-specific regulations. Pro-life activists view their opponents' hard line as an opportunity to use public support to push for laws that have the indirect effect of making the process of terminating a pregnancy more time-consuming and expensive. "As we work on this common-ground package of legislation, we are more where the American people are," says Yoest of Americans United for Life. Activists like Yoest are playing a long game that kicked off when the antiabortion movement wholly adopted the label pro-life in the 1970s. Then, in the 1980s and '90s, as pro-life protesters were dragged to court over their activism at abortion clinics--blockading entrances, "counseling" patients seeking abortions and occasionally resorting to violence against doctors and staff--they slowly built a formidable legal apparatus that serves their cause today, says Joshua Wilson, an assistant professor of political science at John Jay College whose book The Street Politics of Abortion will be published this year. Of pro-life activists he says, "If they can get laws on the books, great, because they have the legal resources to defend them when they're challenged. It's an integrated strategy that's very impressive." The antiabortion cause has been aided by scientific advances that have complicated American attitudes about abortion. Prenatal ultrasound, which has allowed the general public to see fetuses inside the womb and understand that they have a human shape beginning around eight weeks into pregnancy, became widespread in the 1980s, and some babies born as early as 24 weeks can now survive. Cultural norms about unwed pregnancy have shifted as well in the decades since Roe v. Wade. "In general, the pro-choice movement leaves people with the feeling that we don't see these things as complex because the answer is almost always, Well, it's a woman's decision," says Kissling, formerly of Catholics for Choice. "And that's true, but we don't have kitchen-table conversations at the national-advocacy level." Kissling opposes the specific state laws pushed by pro-life activists but says the pro-choice movement's effort to "normalize abortion" is counterproductive. "When people hear us say abortion is just another medical procedure, they react with shock," she says. 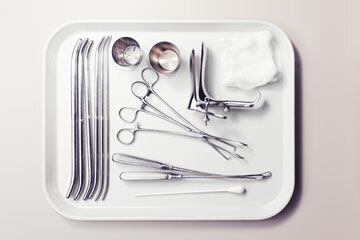 "Abortion is not like having your tooth pulled or having your appendix out. It involves the termination of an early form of human life. That deserves some gravitas."